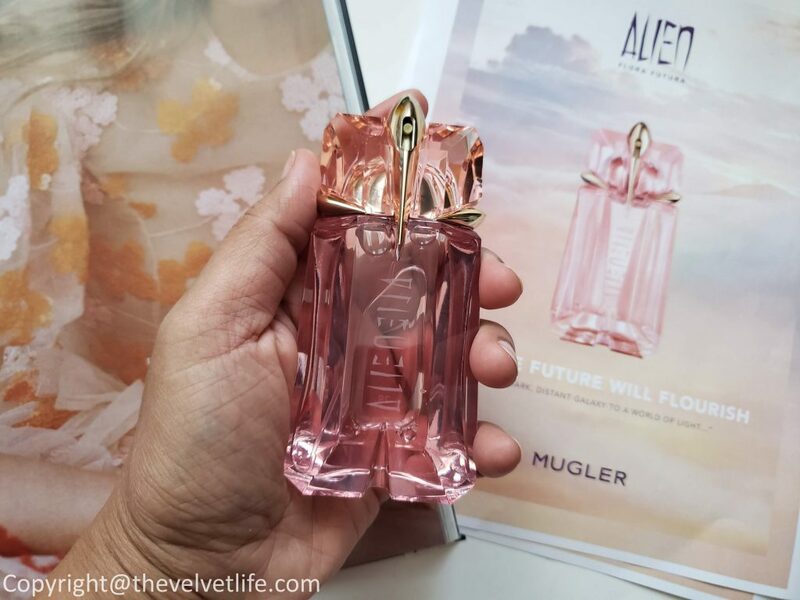 Alien Flora Futura is a new version of Alien launched by Mugler this year. 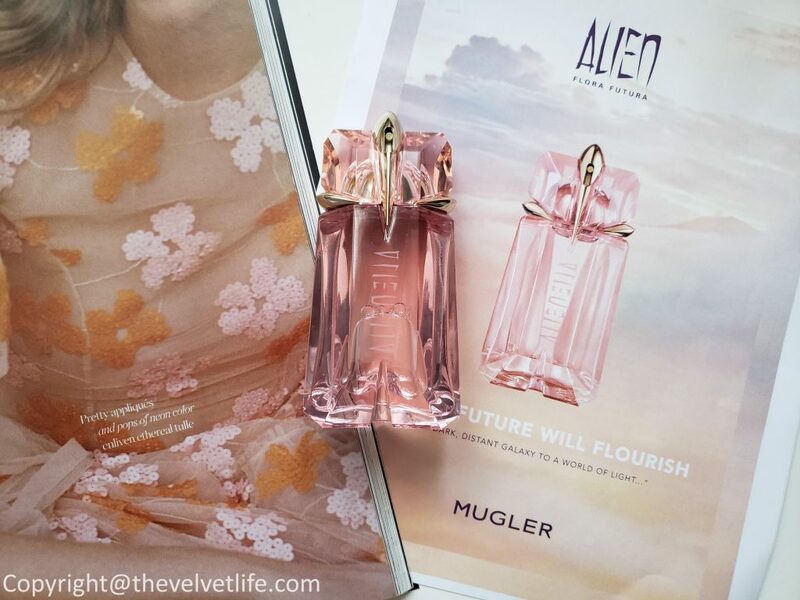 This new edition is described as the messenger of new femininity, Alien Flora Futura celebrates the birth of a world of light, the miracle of revitalized nature and an arid desert that has become fertile, as a sign of hope for a better tomorrow. The perfumers behind the fragrance are Dominique Ropion and Jean-Christophe Herault. The quintessence of Alien Flora Futura is the symbiosis between the crisp, green freshness of ‘Buddha’s Hand’ and the extraordinary rarity of the ‘Queen of the Night’ flower that only blooms for one night. Alien Flora Futura is contained within a talisman-like bottle featuring original architectural shapes, which encapsulates this incredibly precious ‘flower of the future’. 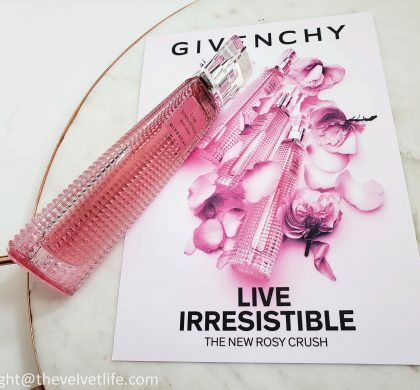 It has changed the hue, departing from the amethyst tones of the iconic bottle to embrace an even more feminine orangey pink to evoke the dawn sky, the prelude to a kinder, more optimistic day during which everything becomes loving, believing, dreaming, being true to oneself. Alien Flora Futura is a soft, gentle, and well-balanced scent. It opens up as a light airy flower scent mixed with the citrus accord. The jasmine is this one is much subtle than in the original Alien. The jasmine turns into a soft powdery floral on me and is really pretty. The scent stays close to and the staying power is around 5 hours on me. 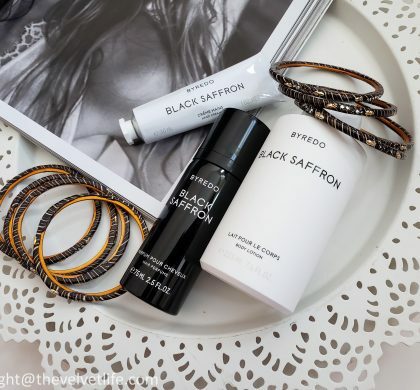 It is a beautiful fragrance for spring, summer, and perfect to wear to work. It is a nice classic, sophisticated scent for women. 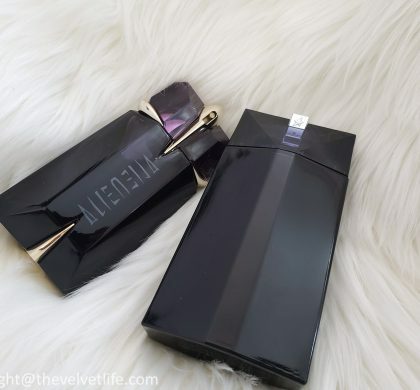 Alien Flora Futura is available at The Hudson’s Bay, Nordstrom, Saks Fifth Avenue.